As a chiropractic physician, I help people with neck and back pain, which is commonly the result of disease of the intervertebral discs. The discs are like shock absorbers between the bones in the spine. When they bulge, herniate or degenerate it can pinch or irritate the delicate nerves and cause terrible pain. The pain may localize to the spine or can radiate to an arm or shoot down a leg. There may also be numbness, tingling or weakness associated with a disc problem. Bulging or herniated discs may result from an injury, such as improper lifting, sports injury or an auto accident. Disc problems may also develop gradually over time from wear and tear. Family history may play a role but while you can’t change heredity you can have a significant positive impact through lifestyle. In my experience as a practicing doctor of chiropractic, almost everyone knows that smoking is bad for health and causes lung cancer, but what most of the thousands of patients I’ve treated didn’t know is that smoking also contributes to disease of the spinal discs. 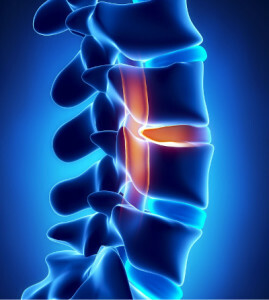 Bulging, herniated and degenerative discs are a common cause of spinal pain. 20% of American adults smoke, with 80% of those smoking daily. There is convincing scientific evidence that tobacco smoking leads to disc degeneration. Tobacco smoking causes DNA damage leading to premature aging of the disc cells. 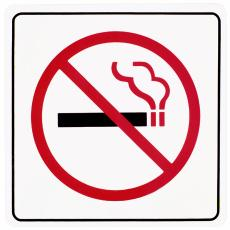 Nicotine is also a vasoconstrictor, meaning that it causes blood vessels to constrict and limits blood flow. Some authors have hypothesized that reduced blood flow may leads to disc degeneration by limiting nutrients to the discs. When the discs wear, it can cause neck or back pain. At my office we are well prepared to help patients with bulging, herniated and degenerative discs but I also expect patient to help themselves through lifestyle. Quitting tobacco eliminates the most common cause of preventable death. Quitting (AKA smoking cessation) reduces risk of cancer, helps with circulation and lowering blood pressure and will likely make you live longer. It’s not easy but there are resources to help. Wang F, Cai F, Shi R, Wang XH, Wu XT. Aging and age related stresses: a senescence mechanism of intervertebral disc degeneration. Osteoarthritis Cartilage. 2016 Mar;24(3):398-408. doi: 10.1016/j.joca.2015.09.019. Epub 2015 Oct 9.